The velocity of money continue to decline in the United States. The monetary base has surged more than 3 times since The Fedral Reserve started QE1. 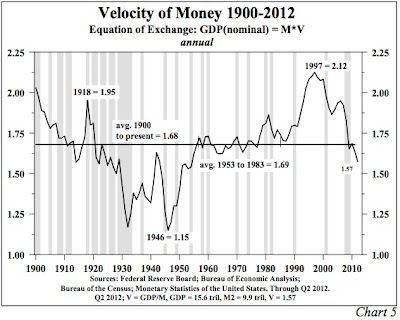 However, the credit expansion and money printing seems to have no effect on the velocity of money.